The MIT Endicott House provides exceptional conference services to satisfy any business’s needs. Our professional conference and corporate events planners are on hand to assist and guide you in the planning process. All logistical information is thoroughly reviewed to exceed your expectations. For a premier conference experience, contact us today to discuss your next corporate events or join us for a complimentary lunch and estate tour. Planning anything is stressful. Planning a conference that people will love and things will actually get done is a whole other level. And with any big project, it’s difficult to know where to start. The staff at MIT Endicott House offers assistance with everything from logistics, dining options, technology and more. Here’s a jumping off point for everything you need to have a great conference, not just another meeting. The MIT Endicott House is a secluded estate located 12 miles from the MIT Campus — close to Boston Logan Airport and Providence T.F. Green Airport. It is not an ordinary conference center. The award-winning facility is located in a secluded landscaped setting on 25 acres in the historic town of Dedham, MA. The stunning French Manor-style mansion features breathtaking vistas of the Blue Hills, alongside beautifully preserved and maintained gardens. The staff at MIT Endicott House can help you plan activities appropriate for your event. The lush gardens make a great setting for outdoor team building exercises. 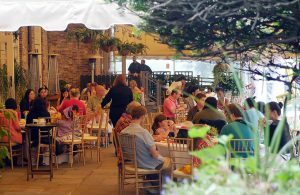 There are indoor dining options for formal affairs and outdoor dining options for elegant garden parties. The Brooks Center offers a 90-seat amphitheatre with the latest conference and computer networking technology, and three seminar rooms. For group arrivals, airport shuttle service between either Logan or T.F. Green Airports and the MIT Endicott house can be arranged. Additionally, shuttle service can be provided for each MIT group through the MIT Parking and Transportation department for an additional cost. If you are looking for a conference venue that has all this and more, check out MIT Endicott House. We have everything you need plus experienced, in-house event planners to help you every step of the way. With a diversity of extra activities and beautiful spaces, you can find everything here. Take a tour and have lunch on us by calling 617-253-5211 or by clicking here.